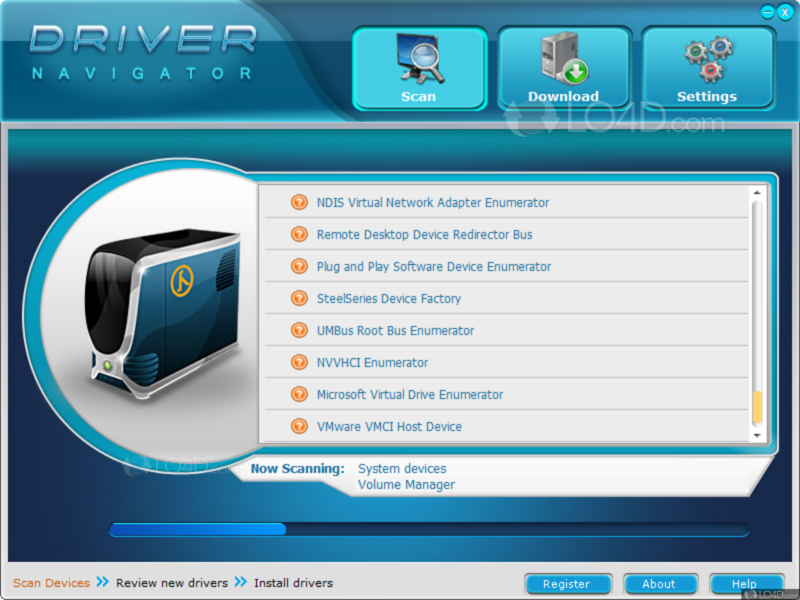 DriverNavigator is a rather simple driver update utility which can scans your PC for device drivers which may have updates available. 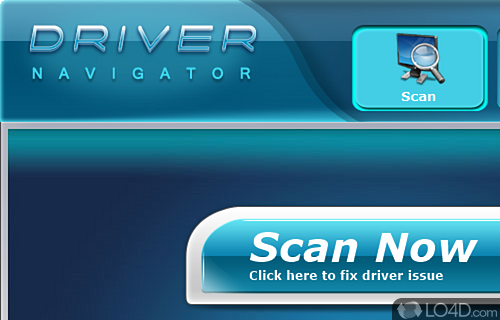 The main interface of DriverNavigator is pretty straightforward and a type of wizard which guides you through scanning your system for installed devices, checking the developer's database for updated versions and then finally downloading the drivers to your PC. Sadly, this isn't a freeware product and actually obtaining the files is not possible without purchasing the program. With that said, it's not usually a good idea to use programs like this as they may cause issues with the functionality of your Windows PC. 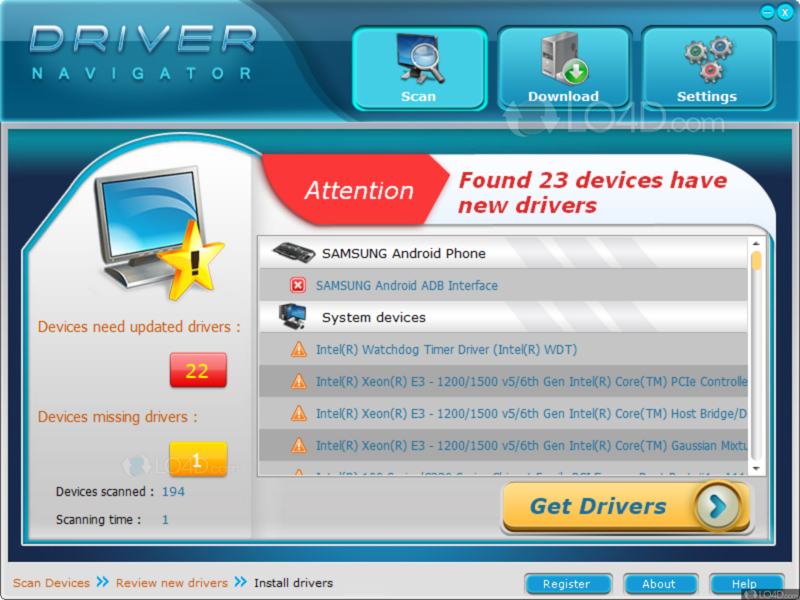 But for driver updater applications, DriverNavigator is definitely easy-to-use. DriverNavigator is licensed as shareware for the Windows operating system from drivers and can be used as a free trial until the trial period ends (after an unspecified number of days). The DriverNavigator 3.6.9 demo is available to all software users as a free download with potential restrictions and is not necessarily the download of the full version. Compatibility with this software may vary, but will generally run fine under Microsoft Windows 10, 8, 8.1, 7, Vista and XP on either a 32-bit or 64-bit setup. 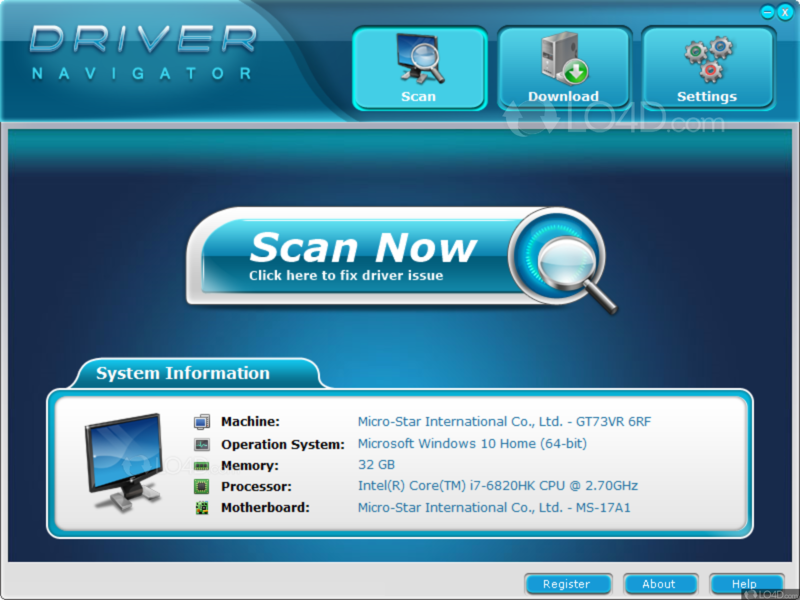 A separate x64 version of DriverNavigator may be available from Easeware. This download was signed by Easeware and distributed as DriverNavigator_Setup.exe. 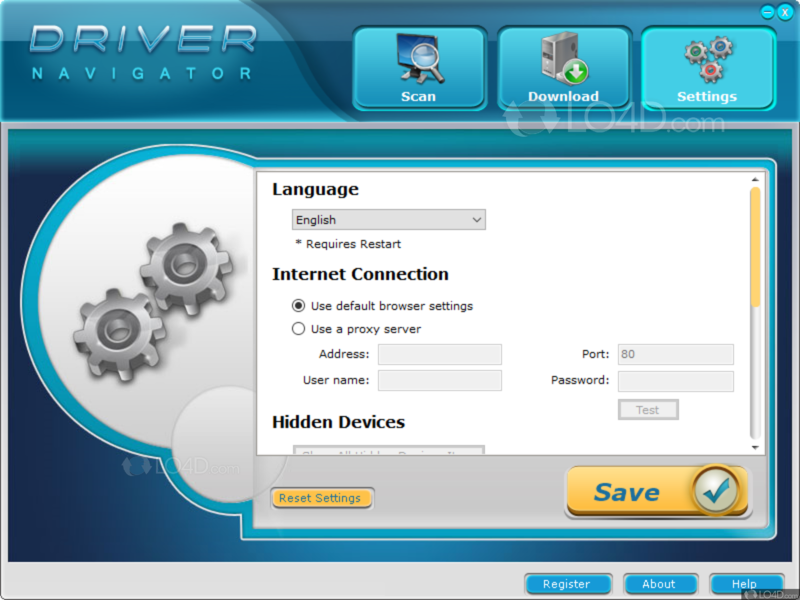 We have tested DriverNavigator 3.6.9 against malware with several different programs. We certify that this program is clean of viruses, malware and trojans.